We all know that Sony loves a good tease, and its latest "reveal" only serves to mystify as much as it does inform. 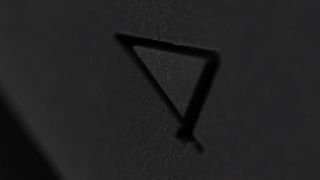 The 39 second video closes in on a blurry outline of what we assume is the PS4 console, with flashes of more detailed closeups popping up intermittently. What can we tell then? The console is black. We can let you know that much. It also looks pretty square, with a matte finish. Oh, and there's a go-faster stripe on there somewhere for some odd reason. It's difficult to judge sizing as the console is sat all on its own in a white room with nothing else for comparison. We expect Sony is going to deliver something slightly smaller than the PS3, though it doesn't look like the design will be taking a huge leap. Of course, it's all very well timed. Couldn't possibly be anything to do with the reveal of the Xbox One taking place tomorrow, could it Sony? The trailer title says we'll "see it first at E3 10th June". That's less than a month away, guys. Come on, we can do this.